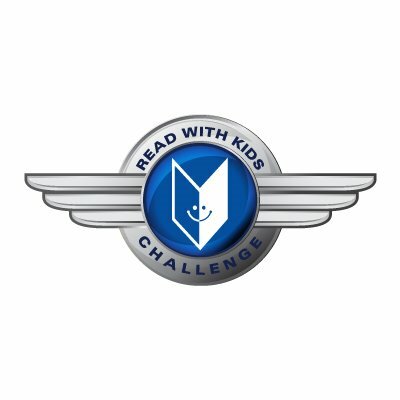 The good folks over at RIF (Reading is Fundamental) just sent me an email regarding this year’s Read With Kids Challenge. The mission is simple–get adults to spend time reading with children. The goal is huge–log 5 million collective minutes spent reading with kids from now (well, April 1. I’m a little late) until June 30. Log your time individually, or with a team of three or more adults, and not only do you enrich a child’s life (sweet), you’re entered to win a trip to Disney World (double sweet). Also, the winning team gets to choose both a featured RIF program and a school in their community to win a special children’s book collection. The sweetness doesn’t stop! One of my favorite moments from my vacation in Florida this past Christmas? Lying side-by-side with my niece on her bed as she quietly read one of the books I’d given her (A Little Princess, my favorite when I was her age), and I read mine. Every once in a while I’d tell her to stop and read out loud the sentence she was on. She got a kick out of that. Of course, I occasionally had to skip a sentence or two when she did the same to me–can’t always play totally fair with the young ones when propriety is at stake. I’ve already spouted on about the need for child literacy, and since most of you who pop by here are writers, I’ll spare the lecture. But, if you’ve got a little carpet crawler, monkey-bar-maniac or other wee (insert cute diminutive) available, snap ’em up and get to readin’. Have no tots with which to share the book bug? You can always send money. This entry was posted on Tuesday, April 14th, 2009 at 7:22 pm	and posted in children, education, learning, literature, Read with kids, reading, reading is fundamental, RIF. You can follow any responses to this entry through the RSS 2.0 feed. Ah, my favorite bedtime story. I still don’t understand why my parents had to tie me to the bed to tell it, though. lwright — You’re very welcome. I don’t get much traffic, but I do what I can. That Steve is a card, no doubt. I’ll make sure he knows he amused. Sidney — What’s it about the grandmas? Mine used to take me to the bookstore every time I spent the night (which was very often, especially in the summer). She definitely helped solidify my love of reading.Charles — Me? Never. How could you possibly think that? Surely you weren’t reading a book with bad words in it? I’m aghast. I remember RIF ads when I was a kid. My grandmother used to read to me when she was my babysitter while my mom and dad worked. I suspect that has made all the difference. Now, Steve, I’m sure they’d let you back in the program if you made some minor modifications so you might be unobtrusive and minimally disrupt the children: crouch by the bed, completely darken the room and use only flashlights held at chin level, and keep your voice down to a gravelly whisper. You know, things that won’t be so disturbing for them. Close to the Twilight Zone. Circling it with one wing dipping in…Last year I posted on how our former glorious prezzie had tried to cut funding for RIF. The nice people at RIF (knowing I am the champion of all things good and holy) somehow caught wind of that post and sent me an email about this event. So, being the champion of all things good and holy (did I mention that? ), I wrote another RIF-themed blog.Anything to help ’em out, you know? They’re good people.